Keep in mind that the list below contains top ten wettest locations on earth that we have actual data for. These may not be the certain wettest locations, there can be wetter places beyond the reach of direct scientific observation. Another important point is: the climate changes over time, and some places may become drier whereas others may become wetter. Average annual rainfall values are taken from the Wunderground. Pu’u Kukui (Hawaiian: “Candlenut Hill”) is a mountain peak in Maui county, western Maui island, Hawaii, United States. With 1,764-meter (5,787 feet), it is the highest peak of Mauna Kahalawai (the West Maui Mountains). The peak was formed by a volcano whose caldera eroded into what is now Ī’ao Valley. Mount Wai’ale’ale, often spelled Waialeale in English without the ‘okina, is a shield volcano, and at an elevation of 5,148 feet (1,569 m) it is the second highest point on the island of Kaua’i in the Hawaiian Islands. Its name literally means “rippling water” or “overflowing water”. Its summit is one of the rainiest spots on earth. 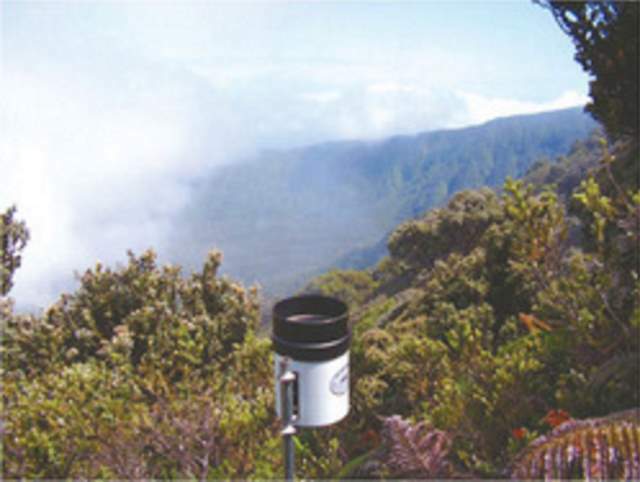 In 1982, Mount Waialeale saw a record 683 inches (17,300 mm) of rain. “Big Bog” is a spot on the edge of Haleakala National Park overlooking Hana at about 5,400 feet elevation. Big Bog is a major tourist attraction on Maui because of its beautiful scenery. Debundscha is a village in the south-western Region of the Republic of Cameroon. lies at the foot of Mount Cameroon, the highest peak In Africa (4,040 m / 13,250 ft). Its southwestern corner directly facing the south Atlantic ocean on the Cameroon coast. Debundscha has an extremely wet climate. 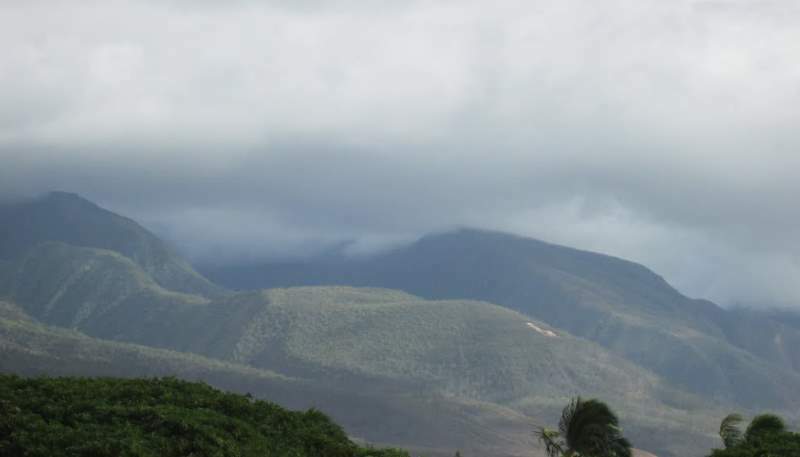 The location contributes to its massive rains as the mountain blocks the clouds. San Antonio de Ureca, also known as Ureka or Ureca is a village found in Bioko Sur Province, south of Malabo on the Bioko island, 32 km off the west coast of Africa, in the Gulf of Guinea. The island is the northernmost part of the Republic of Equatorial Guinea. It is the wettest place in Africa. The dry season is from November to March, the rest of the year heavy rain falls. Before joining the Whitcombe River, it flows only 9 kilometers (6 miles), but it receives heavy rainfall during the year. On 12–13 December 1995, 1,049 millimeters (41.3 inches) of rain fell over the Cropp River, a record rainfall for a 48-hour period for New Zealand. The nearby city of Quibdó holds the title of the wettest city in the world. Tutunendo is a tourist resort and township near Quibdó, whose name is derived from an Embera word meaning “river of fragrances.” The extreme rainfall is because the Andes to the east block the westerly winds driven by the Intertropical Convergence Zone which throughout the year, owing to the Humboldt Current off the west coast of South America, remains centered in the north of the continent at Tutunendo’s longitudes. Rain falls almost every day in intense thunderstorms, and sunny periods seldom last more than a few hours after sunrise. The nearby city of Quibdó, the capital city of Chocó DepartmentRepublic holds the title of the wettest city in the world. Without noticeable seasons and by a large margin the heaviest rainfall in South America and of any city of its size or greater—the wettest southwestern of larger size, Monrovia in Liberia, receives 3 meters (120 in) less than Quibdó. Cherrapunji (currently the historical name Sohra is more commonly used) is a subdivisional town in the East Khasi Hills district in the Indian state of Meghalaya. It is credited as being the wettest place on Earth. But, currently, nearby Mawsynram (see the number one) currently holds that record. Cherrapunji still holds the all-time record for the most rainfall in a calendar month and in a year: it received 9,300 mm (366 in) in July 1861 and 26,461 mm (1,041.75 in) between 1 August 1860 and 31 July 1861. These records are included in the Guinness Book of World Records. Ironically, despite perennial rainfall, Cherrapunji faces an acute water shortage and the inhabitants often have to trek long distances to obtain potable water. 1. Mawsynram, Meghalaya State, India. The wettest place on Earth. Mawsynram is reportedly “the official” wettest place on Earth. It is a village in the East Khasi Hills district of Meghalaya state. Located only 15 kilometers from Cherrapunji, there’s often dispute between the villages about which should hold the title. According to the Guinness Book of World Records, Mawsynram received 26,000 millimeters (1,000 in) of rainfall in 1985. The claim that Mawsynram is the wettest place on Earth is disputed by Lloró, Colombia, which reported an average yearly rainfall of 12,717 millimeters (500.7 in) between 1952 and 1989 and López de Micay, also in Colombia, which reported 12,892 mm (507.6 in) per year between 1960 and 2012. See the article titled New Wettest Place on Earth Discovered? on Wunderground blog. 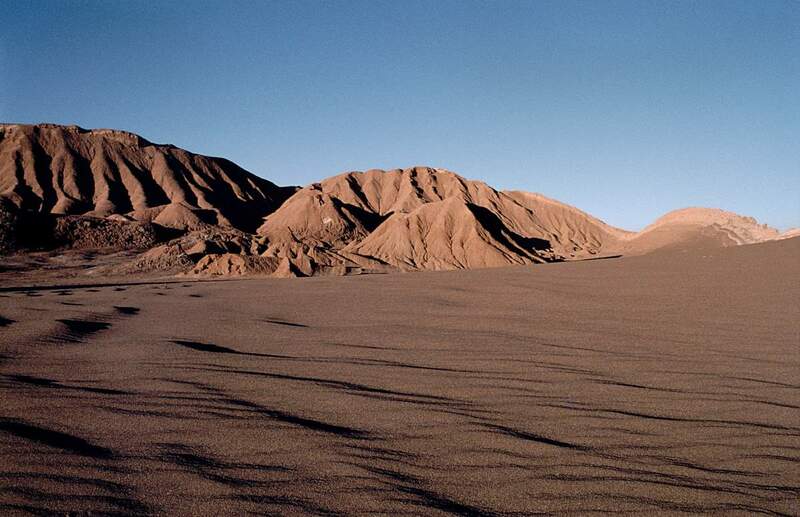 See the top ten driest places on Earth. There are numerous places on Earth that receive rainfall less than even 0.76 mm annually. One place even receive absolutely no rainfall. Here are the top ten driest places on Earth. Monsoon is traditionally defined as a seasonal reversing wind accompanied by corresponding changes in precipitation, but is now used to describe seasonal changes in atmospheric circulation and precipitation associated with the asymmetric heating of land and sea. Usually, the term monsoon is used to refer to the rainy phase of a seasonally changing pattern, although technically there is also a dry phase.The major monsoon systems of the world consist of the West African and Asia-Australian monsoons. The inclusion of the North and South American monsoons with incomplete wind reversal has been debated.The term was first used in English in British India (now India, Bangladesh and Pakistan) and neighbouring countries to refer to the big seasonal winds blowing from the Bay of Bengal and Arabian Sea in the southwest bringing heavy rainfall to the area. The south-west monsoon winds are called ‘Nairutya Maarut’ in India. Extremely wet or dry events within the monsoon period have increased since 1980.